Last updated 23 October 2018 . By Faith Strickland. Turnip to any Be At One with the vegetable to claim your free cocktail. 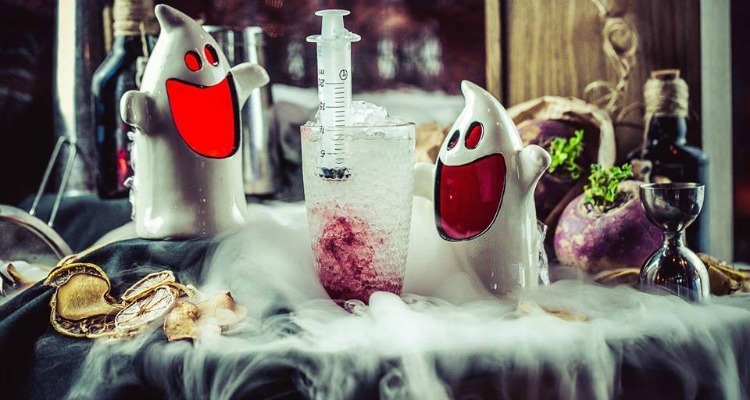 If you're a creep for the spooky and all-hallowed, then your week just got a whole lot better as Be At One has announced it's giving away free cocktails, as long as you bring in a turnip. Inspired by the Irish Samhain tradition, which used the vegetable to ward off evil spirits, the bars have created several themed tipples, including Evil Eye (tequila based), rum-heavy Zombie Apocalypse, and gin-filled Lethal Injection. And what will happen to all those turnips? While bringing back turnip-spiced lattes or encouraging one of your five-a-day is a very viable option, the brand will be helping those in need by donating the swapped veg to homeless shelters and soup kitchens - we'll drink to that. The Turnip Turn Up is taking place at Be At Ones across London and the country from now until 31st of October. One cocktail is redeemable per customer, and the offer is available every evening except for Friday and Saturday Nights.